The mash and smash cookbook: Fun and yummy recipes every kid can make! MASH and Smash Cookbook: Fun and Yummy Recipes Every Kid Can Make! Kid-tested and approved, every healthy recipe in this book shows you how you can roll up your sleeves and have a blast smashing, mashing, squishing, squeezing, and shaking your way to power-packed breakfasts, luscious lunches, lip-smacking snacks, and delicious dinners. With over 50 fun, nutritious, and kid-safe recipes, The Mash and Smash Cookbook is filled with tasty treats that will tempt every kid's appetite. Each chapter includes lists of ingredients and tools, easy recipe steps, cooking tips, illustrations, and fascinating facts. Here's one kid's cookbook that's absolutely smashing! About Marian Buck-Murray (Author) : Marian Buck-Murray is a published author of children's books. 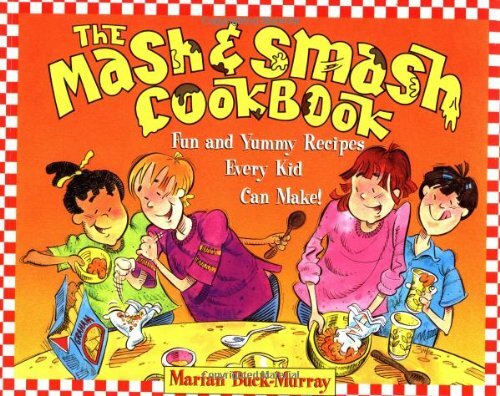 Published credits of Marian Buck-Murray include The mash and smash cookbook: Fun and yummy recipes every kid can make!.